Welcome to the HispanicHouston.com 2016 listing of events for Dia de los Muertos events and activities in Houston. 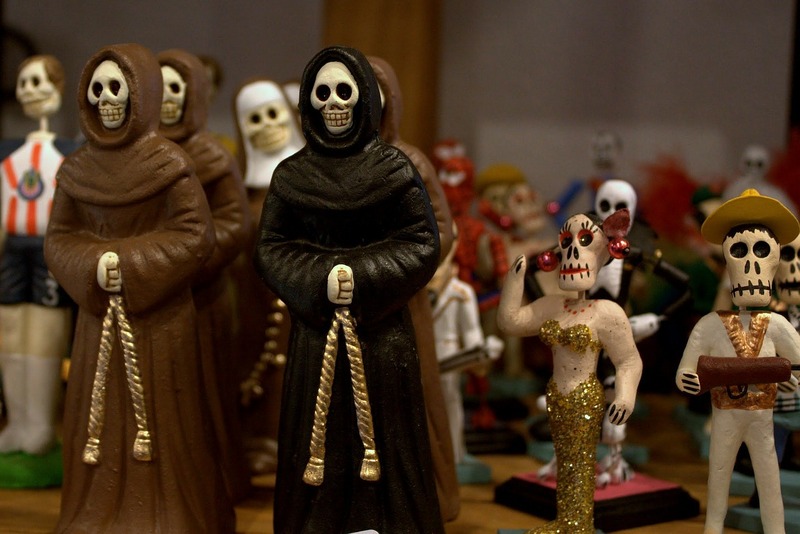 In the last few years, Dia de los Muertos has become mainstream. You can see evidence of that in stores, on TV and in social media. And, of course, that means that there are more events every year. Below is the list of events that you may want to check out. I expect to update this periodically with new events found, so please check back. Día de los Muertos Retablo Exhibition on view Thursday, October 27, 2016 to Saturday, November 5, 2016 at the Lawndale Art Center, located at 4912 Main Street, Houston, TX 77002. 2nd Annual Dia De Los Muertos at Traders Village on Saturday, October 29, 2016 at Traders Village, located at 7979 N. Eldridge Rd., Houston, TX 77041. Dia de Los Muertos Flamenco Andaluz 2016 on Saturday, October 29, 2016 from 7:30 pm to 9:00 pm. This event will take palce at 5102 Navigation Blvd., Houston, TX 77011. History and Symbolism of Ofrenda on Wednesday, November 2, 2016 at 6pm. This event will take place at Lawndale Art Center, located at 4912 Main Street, Houston, TX 77002. Dia De Los Muertos (Day of the Dead) Celebration on Saturday, November 5, 2016 from 10 am to 5 pm. This event will take place at National Museum of Funeral History, located at 415 Barren Springs Drive, Houston, TX 77090. Find more events at our Events Calendar.